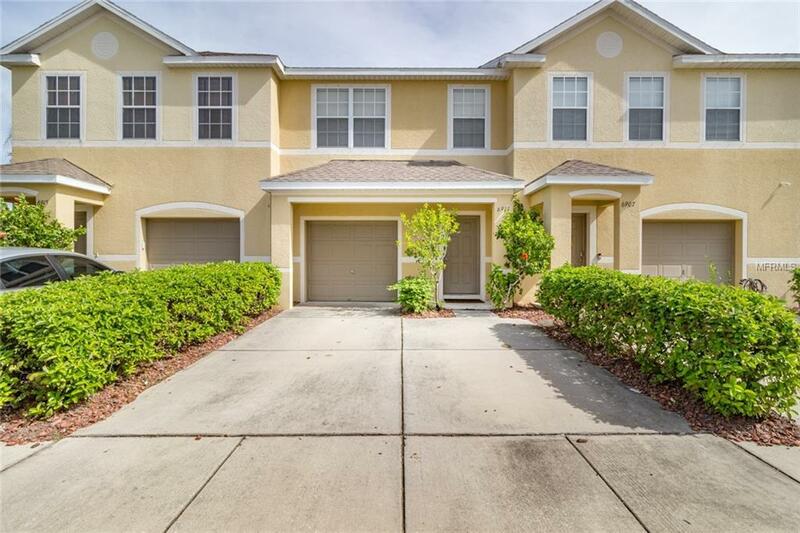 3 bedroom, 2.5 bathroom, 1 car garage townhome built in 2006 and conveniently located in Pinellas Park, FL. Original owners and super well maintained. The kitchen features upgraded cabinets, granite counter-tops and stainless steel appliances; including a new Maytag microwave. The HVAC was recently replaced in 2016. New laminate flooring on the first floor and carpet on the second floor; all of which was updated in 2017. The master bathroom was also updated with new tile surround and features a frameless glass walk-in shower. The utility room is located on the second floor and includes the washer and dryer along with additional storage space. A half bathroom is located on the lower level; first door off of the kitchen. Sawgrass Village features a beautiful community swimming pool which is perfect for relaxing or taking the little ones to run off some energy. The property is perfect for use as a primary residence or second home. Easy access to shopping, groceries, I-275, and the beach. Easy commute to and from Tampa International Airport; only 25 Minutes. Additional Lease Restrictions Please Verify With The Hoa Of Any And All Lease Restrictions. Pet Restrictions Please Verify With The Hoa Of Any And All Pet Restrictions.